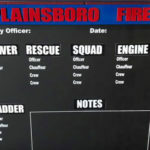 This custom assignment board was made for Squad 12 of the Hamilton Township District 2. (NJ). 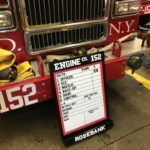 It features a magnetic chalkboard writing surface, raised lettering and a storage shelf.